Last year Epson introduced refillable ink tank printers into the market, And Canon have confirmed they are to release their own range later in the year. The PIXMA G series will be designed with ease of use in mind, making them especially good for customers who want high volume as well as low cost per page for use at home or in small businesses. The Key features of these new devices include. High Page Yield, which allows printing of up to 6000 pages (In Black) or 7000 pages in colour. An Auto Power ON/OFF function. Which is great for those who like to conserve energy. High quality prints, with genuine black pigment ink and dye colour inks, allowing them to produce borderless photos of up to A4 in size. Wi-Fi Technology (exclusive to the G4510 and G3510 variants) allowing users to print wirelessly through a Laptop/PC or other smart devices. Canon PRINT App. Users will be able to scan copy and print using this app. As well as accessing the PIXMA Cloud Link, so photos and other documents can be printed remotely from apps like Facebook, GoogleDrive, Dropbox and many more. 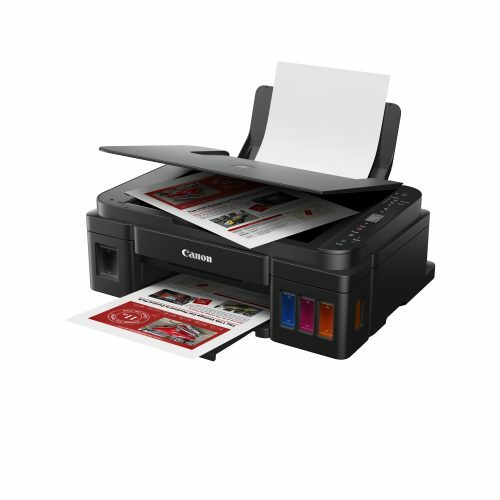 For more information go to www.canon-europe.com for more information on their specifications on this range of printers. Additionally, you can buy each of the inks for the PIXMA G variants online from us at https://www.inkntoneruk.co.uk/Canon-PIXMA-G/. We will also let you know which group of inks correspond to the printer. 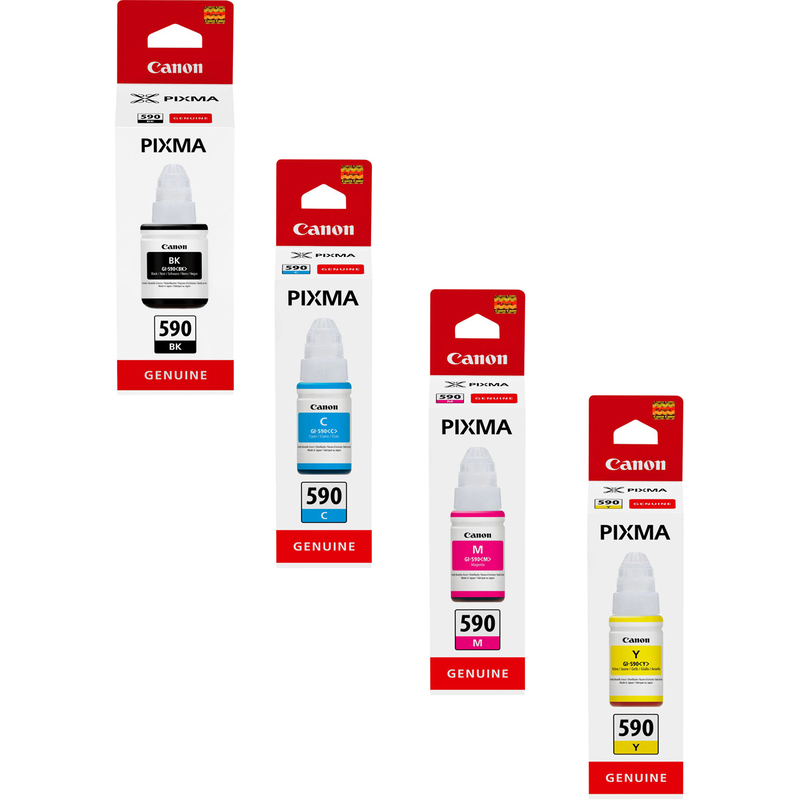 All of the new PIXMA G Series printers (PIXMA G1510, 2510, 3510 and 4510) use the ink bottle for the Original Canon GI-590 CMYK Multipack. 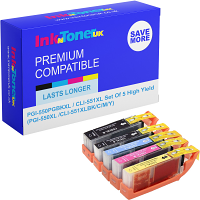 For more information on any other Ink or Printer related products visit us at www.inkntoneruk.co.uk/.